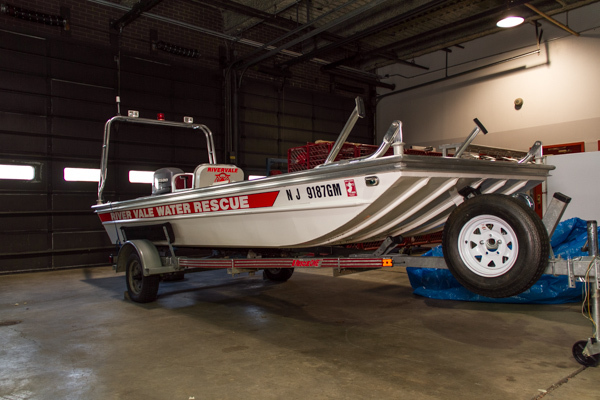 Marine 5, which is located at the South Firehouse, goes hand-in-hand with water rescue operations. Once in the water, it carries the swift water rescue team to the location of emergencies and can carry victims back to safety as well. 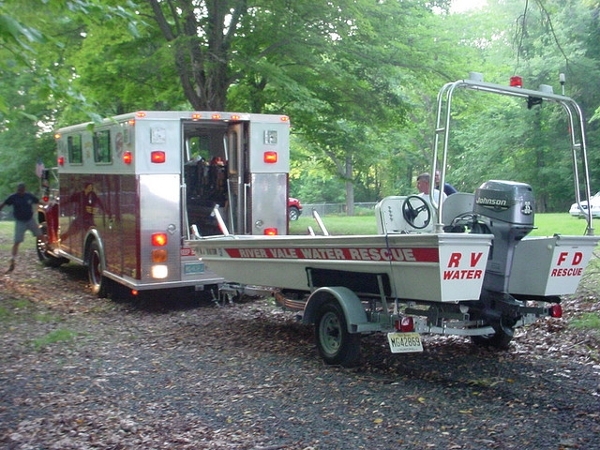 It is equipped with search rope to tie off rescuers while they are searching and/or rescuing victims. This allows them to make the rescue without getting swept away by the current. The ropes also help bring the victims and rescuers back to the boat. Extra life jackets are on board the boat for the victims.